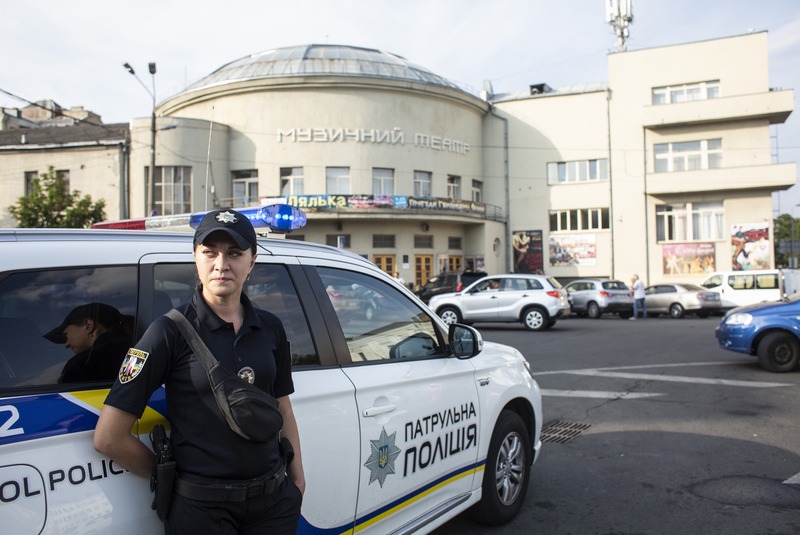 Senior Lt. Yaroslava Trushina looks on from her police car during a calm moment on her shift. Until three years ago, women weren't allowed to be out on patrol. It was deemed unsafe. Now, after government reforms, women are allowed to do police work, along with more than 450 other jobs that were previously off-limits.